Smartphones may exist in a spectrum that runs from the most basic are-you-sure-this-didn't-launch-in-2012 model to the latest super-thin, no-bezel, costs-more-than-a-new-laptop flagship, but really successful handsets aren't those content to just land anywhere on that playing field. Instead, they set out to fill particular niches, targeting very specific sets of features, design elements, and pricing configurations. With its Honor brand, Huawei already decided to go after shoppers looking for a particularly good value from their phones, but even within the Honor lineup we see plenty of variance. The flagship Honor 8, for instance, manages to deliver ample amounts of eye-catching specs while still keeping its price down to just around $400 – still an affordable phone, but one that tries not to make too many compromises. 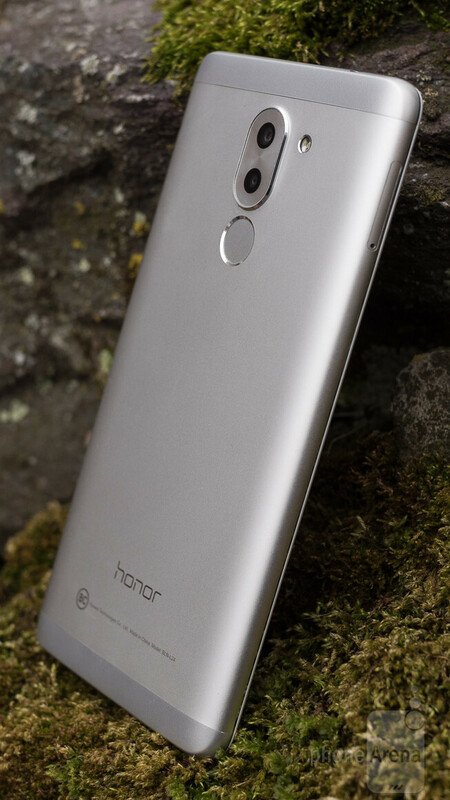 Other Honor phones take that “affordable” tag even more seriously, serving as the budget phones amongst budget phones. 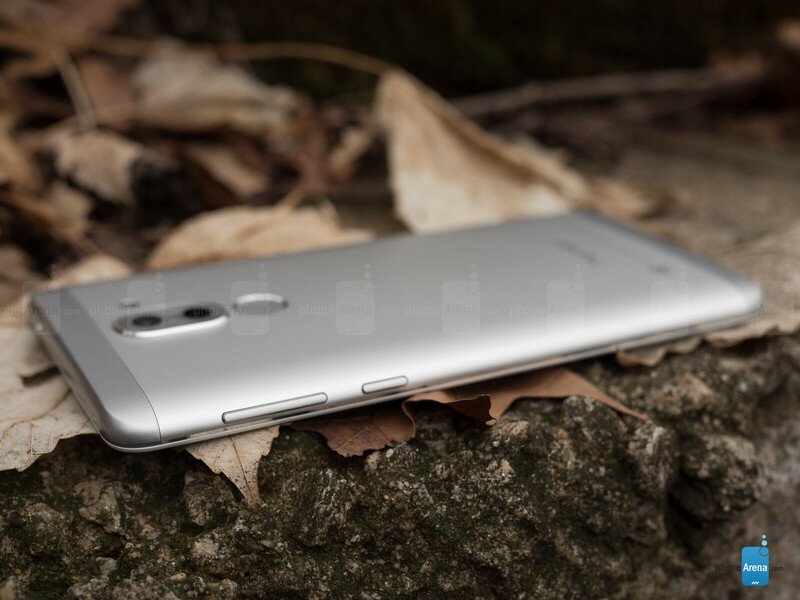 We're looking at just such a model today, the new Honor 6X. 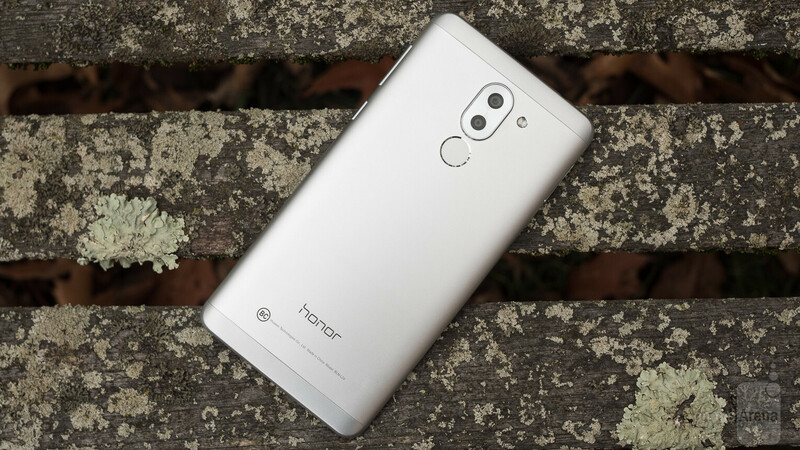 But while its $250 price tag (to say nothing of $200 flash sales) makes it a lot more wallet-friendly than the Honor 8, even it doesn't cut every corner to be found, and with features like dual main cameras and promises of battery life stretching past two days, Honor's really aiming to make a point about how very, very far your smartphone-buying dollar can go. Is this really the little budget-phone that could, or yet another mid-ranger that fails to distinguish itself from the crowd? Sometimes the easiest way to tell you're looking at a low-priced smartphone is to just – well – look at it. Big bezels, poorly complementing materials, plastic, plastic, and more plastic: there's no shortage of warning signs that you're dealing with a budget phone that's not trying too hard to blend in with the big boys. But the Honor 6X doesn't immediately leave you with such a negative impression. The handset's profile is clean and sophisticated, and a smoothly curving metal back helps the handset fit in with models costing hundreds of dollars more. Sure, there are still signs that this isn't the cream of the smartphone crop, like plastic panels at the top and bottom of the phone's back, but they don't tend to really define your impression of this device. 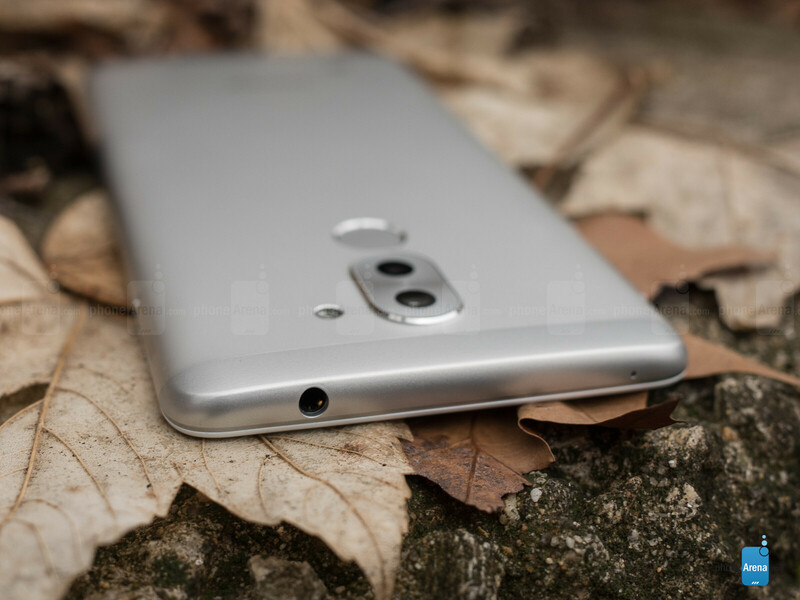 Instead, it's the dual cameras you notice, and the great in-hand feel you remember. It may be a cheap phone, but Honor very much succeeds at not reminding you of that fact. Layout-wise, we've got your standard power button and volume rocker on the right edge, headphone jack up top, hybrid dual-SIM/microSD tray on the left, and our speaker grille and USB port down below – and while we're generally feeling pretty good about the effort the 6X is making to look and feel a little higher-tier than it is, the use of micro USB instead of USB Type-C is admittedly a bit of an oversight (this is 2017, already – come on). Dead-center on the back we've got the phone's dual rear cameras, only ever-so-slightly sticking out from the rest of the panel, and right below those a smartly positioned fingerprint scanner. That scanner worked fantastically well during our usage, recognizing authenticated fingers in the blink of an eye and not bothering us with lots of false negatives. 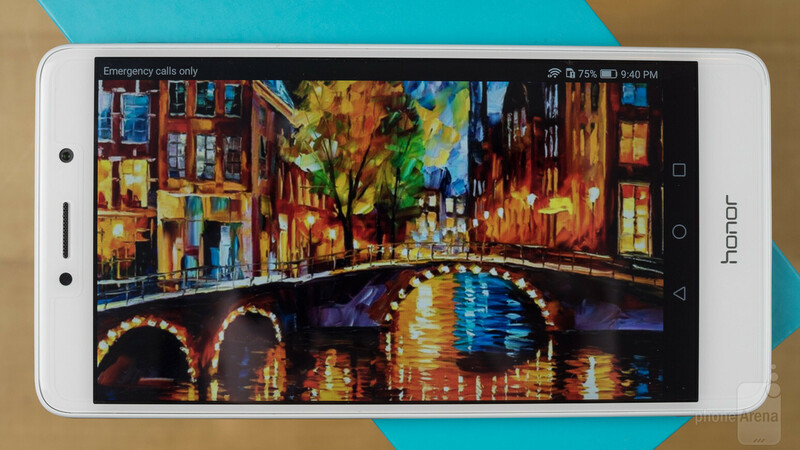 Honor gives the 6X a 5.5-inch screen, a nice size for a budget model. It's a full-HD 1080 x 1920 display, which is right what we'd expect from a handset like this – 720p, and we'd be taking a much more critical position. To succeed with a screen like this, the 6X doesn't have to do that much; really it just has to avoid making any big mistakes. And the good news for Honor is that it doesn't. Screen brightness is quite good, hitting around 500 nits in our testing. For the sake of comparison, that's not quite as bright as something like an iPhone 7, but actually a little big brighter than flagships like the Galaxy S7. And for a phone at this price point, it's more than we could ask for. Colors look pretty nice, and while our testing did suggest a little loss of fidelity with very saturated images, it's far, far from the worst we've seen in recent memory. Software options like color temperature adjustment, and a contrast-enhancing mode for use in bright sunlight help make that already-good display hardware even better. The handset comes with a screen protector installed, but you're free to remove it if that's not your jam. I'm not too sure what the problem with micro USB is? If USB Type C inherently charges faster and transfers files faster then I can understand. Yeah I keep seeing this as a con in EVERY review for this phone. It's kind of getting old. A bit easier to connect as you don't need to worry about orientation and it is less prone to damage as it's thicker and sometimes the teeth on microusb cable collapse and fail. Now there are also white papers on their differences possibly brining more differences to light. That headphone voltage weak as f...Can y'all tell me how you measured that??? The industry's gone in a new direction, and continuing to sell incompatible hardware makes phone ownership a pain when it won't work with your other cables, chargers, etc. It's like if a modern smartphone only accepted full-size SIM cards. Functionally, that may be fine, but it's a PITA when you can't easily swap those with other devices. Do you really have a standard for all your reviews? I find it very unprofessional when you give very silly pros and cons based on the reviewer's own likes and dislikes. Since even is flash sale a con of the phone itself?were you high when you wrote this review? And this site pays you money for doing this? Wow!!!!!! Ah... Aye, same here...! I suppose PA don't believe in little something called "Freedom of speech"... Well, that's unfortunate... Oh well... G'Day! i commented on you yesterday and i think phonearena deleted it. LOL! Truth Hurts! Flash sales are annoying How in the hell is that a con? Retail price is $250. Manufacturers and retailers are allowed to have sales. The headphone jack is weak. Is your measurement correct? Would be nice to compare this phone with the Xiaomi Redmi Note 3 - the SD 650 one with global LTE Bands, which should be of interest in the US - probably just as good at an even lower price - most of Huawei's offerings are more expensive than many other Chinese OEMs. I refer to the Note 3 by Xiaomi rather than the more recent Note 4 as I'm not sure if there is a global ROM available yet for the latter. But on Chinese price on that phone you have to pay TAX and you are getting a device without international warranty, and service support... So this Huawei, even if it is maybe not better device, it is better buy in US and rest of the world except Cina and India. Stephen, just an FYI, AT&T has incorporated band 12 use for awhile now. It's inter-operable now with band 17 and will even show up as band 17 in LTE discovery apps. That's why more and more of unlocked phones coming out are releasing with band 12 only, because it covers the important bands on both T-Mobile and AT&T. If you are in an AT&T band 17 area, this phone will get LTE just fine. Have been out since more than a years, and boy, the comment count is minuscule. Has PA been losing readers because of its ridiculous scoring?